Part 3, and Tray 3 of the Coastal Scents 252 Ultimate Palette review. 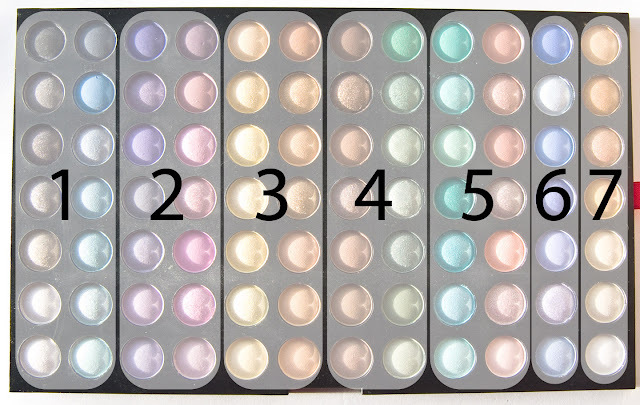 You can read the review of formula review and the colour of the Tray 1 and Tray 2 in the links. Tray 3 contains what I refer to a desaturated shade, it doesn't make them less gorgeous but over all the colours are less vibrant or less saturated then the first two trays. 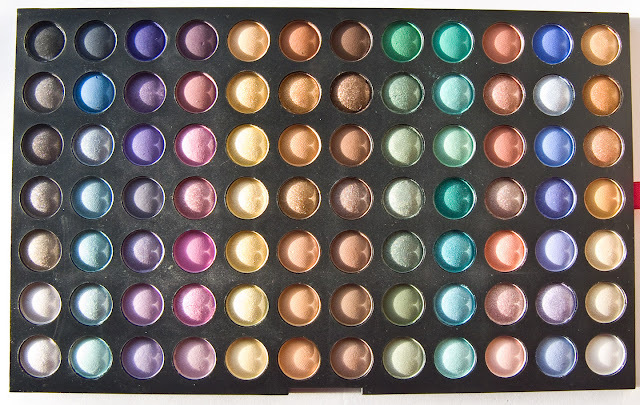 I will be swatching and review this tray starting from the top left corner to the bottom right corner in columns. Incognito is rich deep black with a matte finish. Stone Cold is a deep charcoal taupe with white sliver sparkle and a satin finish. Gunpowder is a charcoal black with silver sparkle. Concrete Jungle is a blacken grey brown with a frost finish. Goldmine is a antique green golden with a metallic finish. Candlelight is a pale silvery grey with a satin finish. White Silver (ME07) is a shimmering white with silver sparks. Navy Baby is deep navy blue with a matte finish. Sail Away is a deep ocean blue shade with a matte finish. Gypsy Blue is a grey nautical blue with light gold sparkle. Jet Stream A smooth grayish-blue shade with a satin finish. Deep Teal is a bright blue green shade with a satin finish. Polar Blue is a icy aqua blue shade with a satin finish. Edgy Eggplant is a rich bluish-purple or blurple shade with a matte finish. Violet Echo is a deep violet with silver sparks. Purple Panic is a light lavender shade with a matte finish. Profound Plum is a blackened plume with a matte finish. Perfect Plum is a neutral purple (neither to blue or too red) with silver sparks. Violetville is a light plum with a matte finish. Lavender Lace is a soft light purple hue with a silky satin finish. Violetta is a deep mauve violet with a satin finish. Fine Wine is a merlot red with a matte finish. Love Light is a bright baby pink with a pearl finish. Foxy Pink is a grape pink with a frost finish. Love Spell is a blue based pink with a matte finish. Razzmatazz is a frost pink with silver sparks. Fancy Pansy is a pale mauve pink with a matte finish. Sundance is a warm golden yellow with a satin finish. Golden Globe is a bright warm yellow with a satin finish. Canary Diamond is a pale canary yellow with a pearl finish. 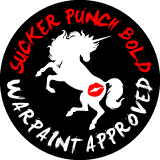 Bombshell is a pale yellow with a pearl finish. Honey Bee is a pale corn yellow hue with a satin finish. Daisy Shimmer is a pastel yellow with a pearl finish. Southern Belle is a pastel warm yellow hue with a satin finish. Oktoberfest is a rusty orange brown with a matte finish. St. Topaz is a hot orange gold with a metallic finish. Caramel is a rich buttery orange brown with a satin finish. Gold Strike is a metallic fools gold shape. Tuscan Terra Cotta is a warm baked orange with a sublet pink undertone. Pumpkin Pie is smooth spiced orange with a matte finish. Persian Peach is a smoothie peach shade with a matte finish. Deep Roast is a rich dark brown with a matte finish. Boca Mocha is a rich brown with shimmer finish and gold sparkle. Coconut Husk is a muted rose brown with a matte finish. Cocoa Diamond a light chestnut brown with a pearl finish. Midnight Rodeo is suede brown hue with a matte finish. Kokomo Cafe is a creamy camel brown with a matte finish. Sand Storm is a warm wet sandy brown with a satin finish. Sassy Grass is a rich Christmas green with a satin finish. So Jaded is a light forest green with a light gold sheen. Soft Clover is a shamrock green with a strong gold shimmer. Finish : Satin but more like a duchrome pearl. Spruced Up is a smoke sage green with a sine silver shimmer. Wizardry is a deep forest green with a sublet pearl finish. Olive is very much the khaki green shade seen in Mediterranean ripe olives with a matte finish. Pale Green Tea is a pale pastel leaf green shade. Vibrant Blue Green is a very bright teal shade with a matte finish. Bon Voyage is vibrant deep turquoise with a satin finish. Spring Fling is a pastel teal with a satin finish. Deep Viridian is a deep emerald blue green shade with a pearl finish shadow. Fantasy Isle is a rich turquoise with a frost finish. Siesta Key is a bright but soft baby blue with a frost finish. Reef Blue is a bright aquamarine blue shade with a pearl finish. Tuscany is rustic red-orange pottery shade with a matte finish. Cajun Craze is a rusty orange red with a frost finish. Paprika is a rich dusty orange red with a matte finish. Mai Tai is an airy dusty mauve with a silver shimmer. Peachy Keen is a rich bright peach with a satin finish. Peach Fuzz is a rich mauve with light golden shimmer. Peach Puff is a pale rose peach shade with a matte finish. Gutsy Grape vibrant deep blue base periwinkle shade with a matte finish. Blue Moon is a gentle silver blue with a frost finish. Wild Wisteria A sheer wash of purple with a soft, matte finish. Queen’s Jubilee is a royal purple with a slight red base and silver sparkle. Little Grapette is a pastel red based purple hue with a matte finish. 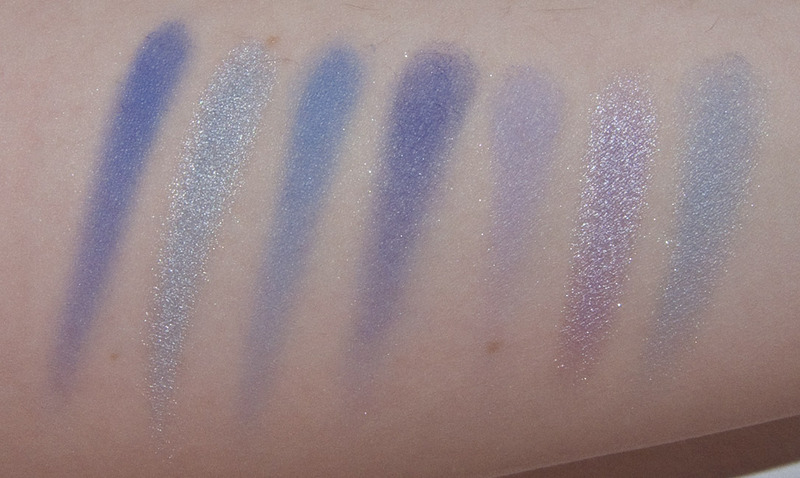 Ice Ballet is an icy pastel purple with a shimmer finish. Icelandic is a silky pale periwinkle with a satin finish. Golden Touch is deep rich golden yellow with a satin finish. Sun Worshiper is a baked bright golden bronze with a pearl finish. Copper Glaze is a warm copper with a shimmer finish. Fools Gold is a dried mustard yellow with a matte finish. Siesta Sands is a pastel warm yellow with a satin finish. Elven Gold is a warm vanilla gold with a pearl finish. Snow Bunny is a soft white shadow with a matte finish. 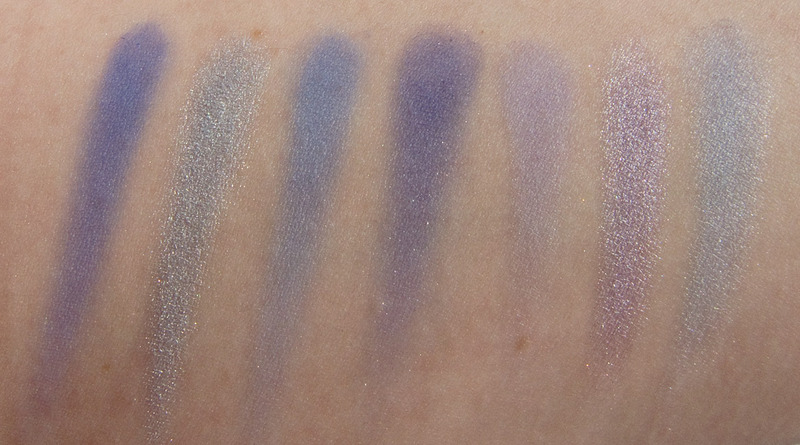 This one had a skin on the surface of the pan but once to got through that is was the semi sheer shade you see in the swatch. 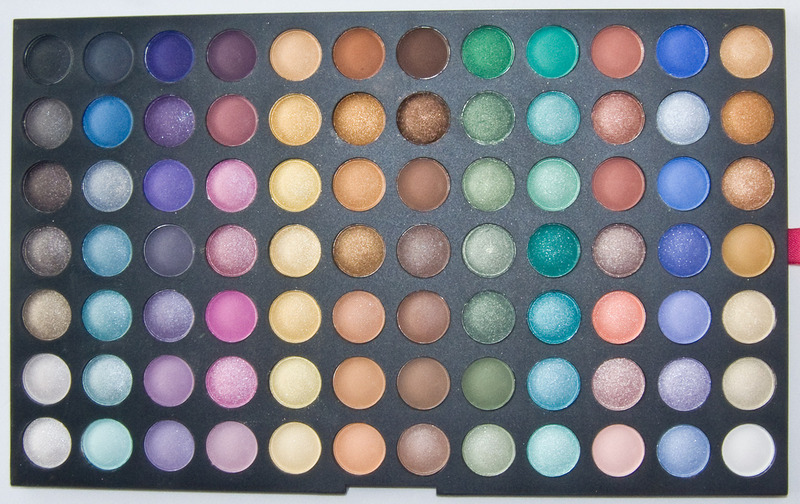 This 252 palette has a fantastic array for shades to work with in all the colour spectrum and texture/finishes. I kind of wish there was more flesh tone shades in this palette for blending looks into skin then some of the shades that where almost repeated in the set. But if you like colours this is the mother load!!! You can read the review of formula review and the colour of the Tray 1 and Tray 2 in the links. I am in love with the colors. You are amazing. This is sooooo helpful. <3 We are so grateful, and you have my respect for life.